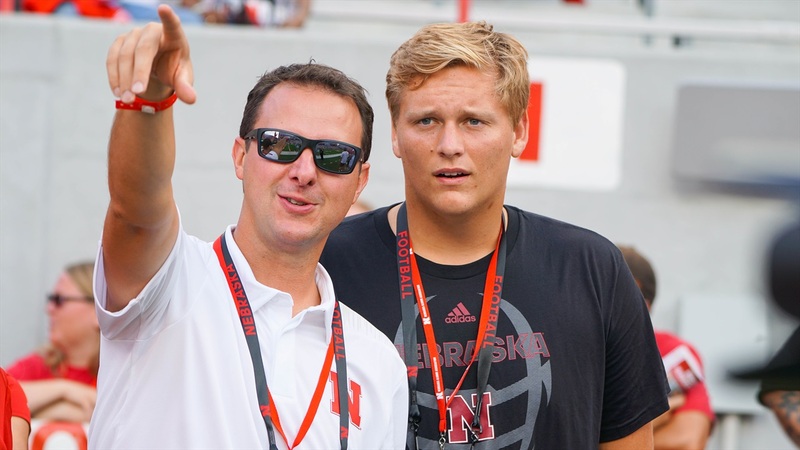 On Saturday, Nebraska picked up a big-time commitment when 4-star offensive lineman Turner Corcoran‍ publicly announced his commitment to play for the Huskers. The Free State High School standout will be a cornerstone prospect for this recruiting class and for offensive line coach Greg Austin’s group for years to come. As mentioned, he publicly announced his commitment with a tweet on Saturday after the spring game. He informed the staff on Friday night. I’ll let Corcoran tell the complete story. “We were at the Watering Hole Friday night hanging out,” Corcoran said. “I knew I was going to commit to Nebraska last Saturday after the Oklahoma visit. I knew it was home and where I wanted to be. It’s where my heart was. We were at the Watering Hole getting wings with Coach Austin, [Director of Player Personnel] Coach [Sean] Dillon and [Senior Offensive Analyst] Coach Frank [Verducci]. Coach Frost came in for a few minutes to say what’s up and be around us for a minute. He had to go to an NFL players dinner and be around those guys for a bit. It turns out that not every coach that Corcoran has gotten close to was at the dinner. Running backs coach Ryan Held, who is the lead recruiter for Kansas, got a big surprise on Saturday. Corcoran is close to his family and they have been on several of his recruiting trips with him. They were very supportive when he informed them of his decision. There will be more to come on the site from my conversation with Corcoran including why he picked Nebraska, being a peer recruiter and more.